Coat skillet with olive oil and butter. Sautee onion, then add cabbage. Stir thoroughly. Simmer, stirring occasionally for about 20 minutes. Stir in garlic, salt and lemon pepper, paprika, and Italian seasonings. 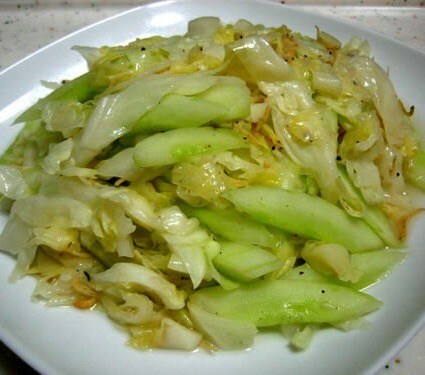 Continue cooking until cabbage is tender, about another 10 or 15 minutes. Here’s What Happens to Your Body When You Eat Two Eggs a Day. I Would Have Never Believed No. 3… awesome! Amazing Daily Skin Care Tips That Will Make You Look 10 Years Younger! 6 THINGS HAPPEN TO YOUR BODY WHEN YOU DRINK WARM WATER ON AN EMPTY STOMACH EVERY MORNING! YOU WILL LOVE NUMBER 3!